This week end, Dear Old Pat came to visit. Having lived with Peter, he shares our ice cream frenzy, and insisted for doing one batch. No need to say it twice! I had been wanting to make fig ice cream for a while. I’ve been told this was not a good idea, considering the very light flavour of fresh figs, and the multiple seeds contained in them. But as I’m stubborn, and as figs were cheap on the market, we tried nonetheless. The Ice book supports the making of a custard to get the best flavour in the ice cream. But custards are long and tedious to make, and the Russell Recipe is so tempting…. 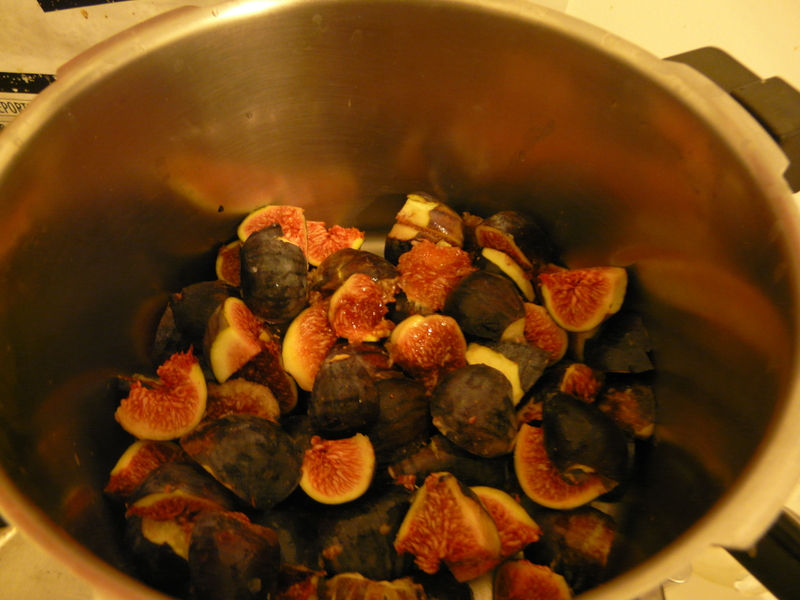 Cook the figs with a few tablespoons of water. Let them simmer until the skin is tender (about 15min). 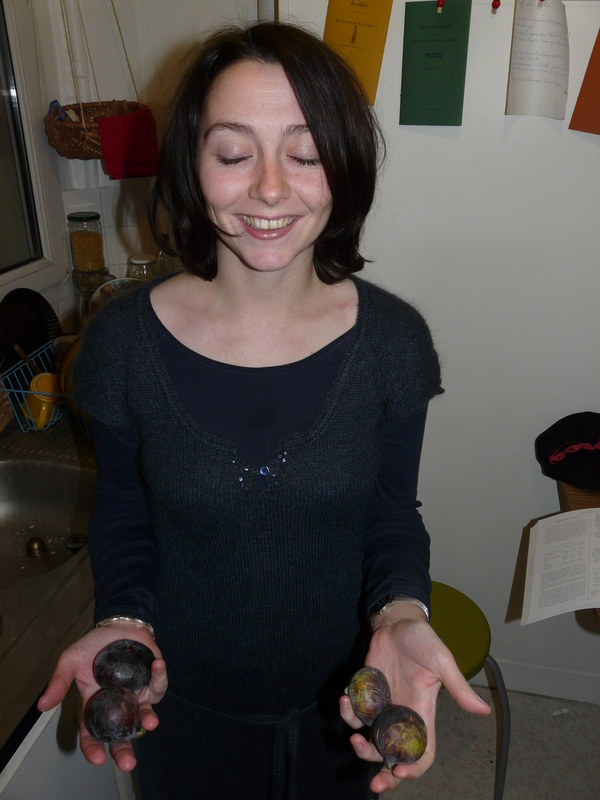 Then blend them, but not too thin (you don’t want to crush the seeds). Beat 1 egg and a yoke with the sugar. Add the cream. Sieve the fig puree (you can choose to leave a few seeds to keep the characteristic crunch, but do not let them all, it would be most unpleasant), and enough milk to fill the canister. 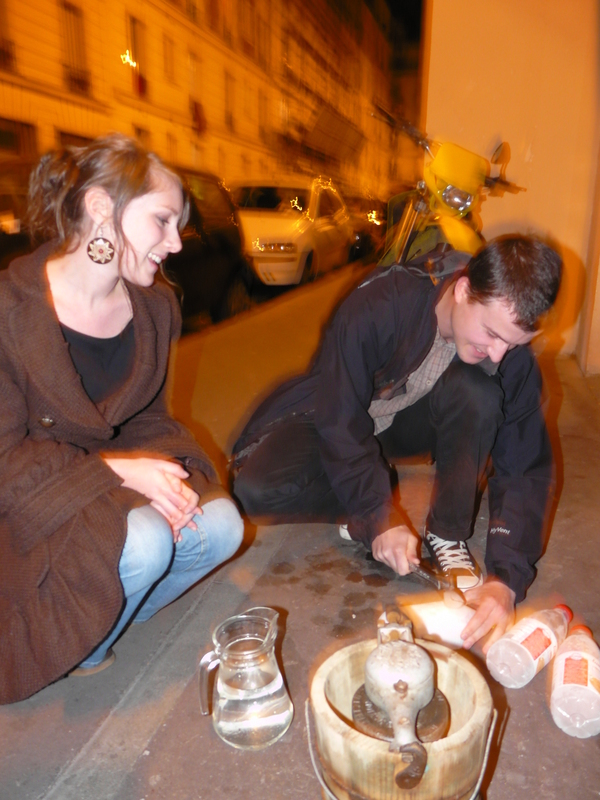 We went cranking in the street, with 2 other friends. The machine is slowly making its reputation through Paris. The ice cream was delightful, smooth and creamy. The fig flavour was very light, but nonetheless present. I guess if you want to obtain a strong flavour you have to make a custard, and even infuse fig leaves. Thanks for keeping Triple Motion alive. We’ve made quite a few batches recently but I’ve been slow to write up the recipes.